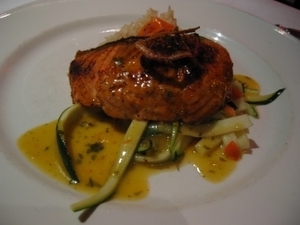 Just tried Aqua Riva at Waterfront, part of the Dine Out Vancouver experience. 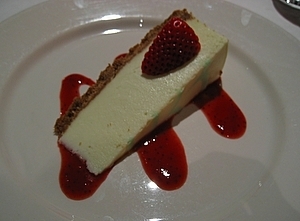 Maybe my previous experience at Joe Fortes wasn’t so good , this time around I was really happy with its food and service. 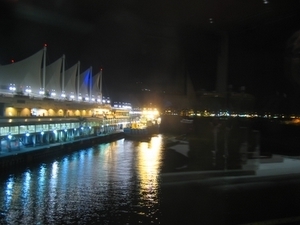 To start off, we were given a window seat, and you know, dine while looking at Canada Place and the waterfront is pretty good. It only got sorta depressing when it started to rain, but it’s all good. Then the waitress Sonia (yeah, this time I looked up her name) was really friendly and always said “thanks”. 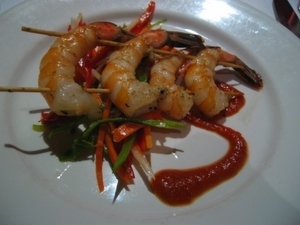 Food wasn’t bad either, for the price of $25 – a regular main course costs at least $27. 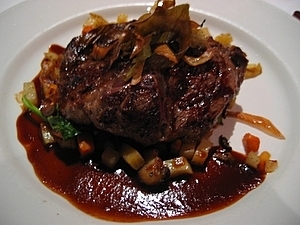 I actually think its food was better than Joe Fortes’ (which cost $35 per head). 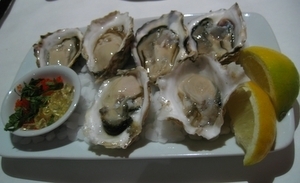 This time, we also ordered fresh oysters and drinks on the side. See, Joe Fortes, we are willing to pay more but you just didn’t deserve it. Sucker!